May 21, 2013, New York, NY -- ArtNowNY is pleased to present One In A Million, a solo show of new works by Peter Gronquist opening on June 6, 2013. One In A Million highlights Gronquist’s brand of satirical, often fantastical, and always gorgeous sculptures as well as a collection of paintings. Gronquist’s work eschewed easy interpretation--the artist is reticent to pick any one sentiment or statement which might easily summarize his art practice. He takes great pains to produce the Neo Baroque high-gloss and gold-gilded finishes found in his signature animal taxidermy sculptures, where he appropriates ultra-masculine imagery creating a juxtaposition of the innocent and the aggressor. Up to 30 hours may go into sanding the finish on an assault weapon antler, and Gronquist employs master gold platers to complete the almost alchemical transformation of adhering pure gold accents, perfecting a process of binding gold and silver to non-metal surfaces. These objects act as a parody of the role that luxury goods play in what Gronquist views as “hyper American” culture. Designer labels, outrageous bling, and rampant conspicuous consumption point to the consumerism that dominated pre-recession American culture, and the transgression for which we are now atoning after the global economic collapse. His use of guns also relates to this “hyper Americanism” and works as a double edge; part empowering, part destructive, it’s a timely criticism of gun culture, which is presented as either wholesome and sporting, or malicious and predatory. Gronquist’s exposure of these characteristics of American culture, the simultaneous rejection and embodiment of the consumerism and apathy we have inherited as the American dream, is possibly the most concise possible interpretation for his work. ArtNowNY is a hub of creative genius in New York City, pulling from established and emerging artists of different styles, disciplines and background. We create an open forum between our artists, our community and our collectors ensuring a mutually beneficial relationship. Our primary concerns are to nurture and push our artists into new opportunities while creating a dialogue with our artist and collector base. In addition, ArtNowNY educates our community by introducing them to local and global artistic movements. We believe that everyone is a collector at heart, and, as a result, we provide an array of artistic works to meet novice to advance collector concerns. Continuum: Doug DuBois and Aaron Blum is the first in a series which will explore mentorships and influences in contemporary photography, and those times in an artist's formative development when a special teacher or person changed everything for them. This exhibition focuses on one such mentor-mentee relationship -- that between Doug DuBois and Aaron Blum. Doug DuBois is an internationally renowned photographer and associate professor at Syracuse University where he teaches in the College of Visual and Performing Arts. Aaron Blum is DuBois' former graduate student at Syracuse and a rising talent who now lives and teaches in Pittsburgh, PA.
Each artist is represented by selections from their most recent projects. Doug DuBois' My Last Day at Seventeen is about coming of age in a housing estate in Cobh, County Cork on the southwest coast of Ireland, during the current economic downturn. This is the first time that My Last Day at Seventeen has been exhibited outside of Ireland. Aaron Blum's Born and Raised is a series of portraits of his family and friends as well as landscapes and interior scenes taken in his hometown of New Martinsville, a small rural community in the Appalachian range of West Virginia. Continuum: Doug DuBois and Aaron Blum is organized by Silver Eye Center for Photography and curated by Ellen Fleurov, Executive Director, in collaboration with the artists. Silver Eye Center for Photography is located at 1015 East Carson Street, Pittsburgh, PA. Gallery hours are Tuesday through Saturday, noon to 6 pm. Admission is free and open to the public. Silver Eye Center for Photography is generously supported by our members and individual donors and by the Allegheny Regional Asset District, A.W. Mellon Education and Charitable Trust Fund of The Pittsburgh Foundation, The Fine Foundation, The Grable Foundation, The Heinz Endowments, The Hillman Foundation, The Laurel Foundation, Pennsylvania Council on the Arts, and Epson America. Image Credits: Doug DuBois, from the series My Last Day at Seventeen, 2009-2012. Courtesy of the artist. Aaron Blum, from the series Born and Raised, 2010-2013. Courtesy of the artist. 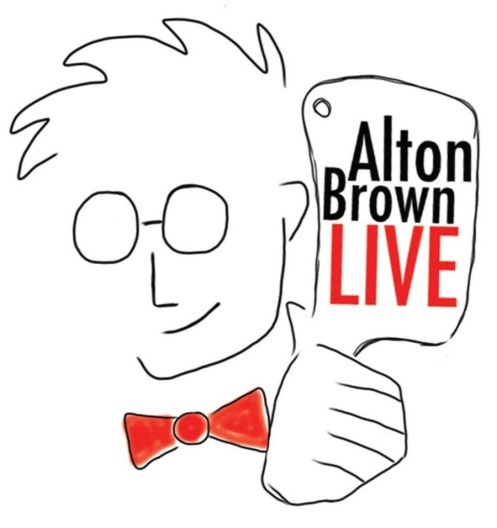 Tickets on-sale June 7, 2013 at 10 a.m.
CHICAGO (May 24, 2013) – Broadway In Chicago is thrilled to announce Alton Brown Live! The Edible Inevitable Tour will be coming to Chicago for one night only on February 8, 2014 at the Oriental Theatre (24 West Randolph). Alton Brown, Iron Chef host and renowned television personality, is taking his brand of quirky humor and culinary science on the road with the Alton Brown Live! The Edible Inevitable Tour. Tickets go on-sale to the public on June 7, 2013 at 10 a.m.
Tickets for Alton Brown Live! The Edible Inevitable Tour the Oriental Theatre range from $25-$65. A special package featuring premium seating and a pre-show meet and greet with Alton Brown is also available. Tickets are available now for groups of 15 or more by calling Broadway In Chicago Group Sales at (312) 977-1710. Tickets are available at all Broadway In Chicago Box Offices (24 W. Randolph St., 151 W. Randolph St., 18 W. Monroe St. and 175 E. Chestnut), the Broadway In Chicago Ticket Kiosk at Water Tower Place (845 N. Michigan Ave.), the Broadway In Chicago Ticket Line at (800) 775-2000, all Ticketmaster retail locations and online at www.BroadwayInChicago.com. CHICAGO — (May 23, 2013) Broadway In Chicago is thrilled to announce the touring cast of the musical Buddy – The Buddy Holly Story which will play Chicago at the Cadillac Palace Theatre (151 West Randolph) for a limited engagement June 18 – 30, 2013. In just three short years, rock legend Buddy Holly set the music world on fire and forever changed the face and sound of rock and roll. Buddy – The Buddy Holly Story charts his meteoric climb, legendary adventures and tragic fall on the fateful day the music died. Armed with a Fender Stratocaster guitar, his signature specs and a charismatic blend of rockabilly swagger, Buddy explodes onto the stage in this jukebox musical fully loaded with classics “Peggy Sue,” “Oh Boy,” “That’ll Be the Day,” “Well All Right,” “Not Fade Away” and many more with an encore that will have you on your feet and dancing in the aisles. BUDDY is directed and choreographed by Norb Joerder with creative consultation by Matt Salisbury and music direction by John Banister. Currently alternating in the title role of Buddy Holly are Andy Christopher and Kurt Jenkins. The cast also features Joe Cosmo Cogen (Jerry Allison), Ryan G. Dunkin (The Big Bopper), Ryan Jagru (Ritchie Valens), and Sam Weber (Joe B. Mauldin) with Eric Scott Anthony, Greg Bosworth, Jennifer Drew, Steve Gagliastro, Noellia Hernandez, Carrie A. Johnson, Carolyn Malfa, Sean McGibbon, Lacretta Nicole, and T. Scott Ross. Tickets for BUDDY at the Cadillac Palace Theatre are on sale now and range from $22-$85. A select number of premium seats are also available for many performances. Tickets are available now for groups of 10 or more by calling Broadway In Chicago Group Sales at (312) 977-1710. Tickets are available at all Broadway In Chicago Box Offices (24 W. Randolph St., 151 W. Randolph St., 18 W. Monroe St. and 175 E. Chestnut), the Broadway In Chicago Ticket Kiosk at Water Tower Place (845 N. Michigan Ave.), the Broadway In Chicago Ticket Line at (800) 775-2000, all Ticketmaster retail locations and online at www.BroadwayInChicago.com. You are receiving this email because you are on the Margie Korshak press list. Explore Ireland at Your Leisure — Including a Night at Dromoland Castle From $999 Per Person! at Dromoland Castle From $999 Per Person!
' Emerald Dromoland Package is the perfect choice. The journey begins in Dublin with a stay at the Croke Park Hotel. Travelers can enjoy the excitement of the Irish capital including its vibrant culture, intriguing history, and cosmopolitan flair. From there, it is time to explore the countryside behind the wheel of a rental car, choosing from thousands of B&Bs for the next three nights. Sample itineraries include the southwest (Kilkenny, Kinsale, Killarney), the west (Galway, Dingle Peninsula, Aran Islands), or the north (Sligo, Donegal). And then it is time to drive to County Clare for the second to last night, at the five-star Dromoland Castle, the 16th-century ancestral home of Gaelic royal families. A magnificent Renaissance structure, the castle was refurbished and transformed into a luxury hotel in the 1960s and retains splendid woodcarvings, oil paintings, romantic gardens and fine antique furnishings. From its setting on a 375-acre estate, guests can enjoy hunting, fishing, horseback riding, and championship golf, or take in the sites of the rugged west coast of Ireland, Shannon and Limerick. Then it is back to Dublin for one more night at the Croke Park Hotel, convenient to both the airport and Dublin city for a night on the town, perhaps enjoying Dublin's vibrant nightlife and pub scenes. Meals (other than as noted) and gratuities are NOT included. This package is priced from $999 per person, based on double occupancy for travel from November 1, 2013 to March 31, 2014 from New York-JFK. Flights from other gateway cities available at higher rates. Additional nights are available. Black-out dates apply and rates are based upon availability. This rate includes airline and government-imposed taxes and fees, is valid for new bookings only, subject to availability, and may be affected by fluctuations in exchange rates. $99 Upgrade — Includes admissions to Bunratty Folk Park, Blarney Castle, and Cliffs of Moher; the Ring of Kerry Guided Tour; House of Waterford Crystal Tour; 10% Kildare Village Discount; and a Tour of the Guinness Storehouse. DOWN WITHOUT “DOWNTON”? SUFFERING “SELFRIDGE” WITHDRAWAL? CHICAGO, IL – Missing Downton Abbey? Suffering from Mr. Selfridge withdrawal? Love Under Fire just might cure what ails you. Love Under Fire: The Story of Bertha and Potter Palmer, which premiered on WTTW11 Chicago in March, tells the inspirational true story of Chicago's first power couple, Bertha and Potter Palmer, who were instrumental in helping Chicago rise from the ashes of the Great Chicago Fire. In celebration of Bertha Palmer’s birthday on May 22, Corn Bred Films is releasing Love Under Fire for streaming and download exclusively on Reelhouse at reelhouse.org/cornbredfilms/loveunderfire. A DVD version is also available at www.courtingbertha.com and at Merz Downtown, located at the front entrance of The Palmer House hotel. The film is also playing in every room at The Palmer House. “Period dramas like Downton Abbey and Mr. Selfridge have captured our imaginations and our hearts. Love Under Fire is the perfect primer for turn of the century life that gives you some of the history behind Mr. Selfridge and documents one of the greatest love stories in our country’s history,” says director and producer Amelia Dellos of Corn Bred Films. The online release of the documentary completes what Corn Bred Films is calling phase one of a planned three phase project. The second phase, mounting a stage play based on Dellos’ original screenplay “Courting Bertha,” is currently underway. Phase three, a feature film, will follow. To learn more about the film, please visit http://www.courtingbertha.com. Due to scheduling issues, Jeremy Piven, who is currently on set in London shooting the second season of the acclaimed series Mr. Selfridge, is unable to join us this year for the gala. Everyone here at Piven thanks him for his unwavering and continued support of the Workshop. We are excited to announce that Piven alumna and award-winning actress Joan Cusack has graciously offered to co-host our gala with Billy Dec this year! The event will still take place at Sunda Restaurant for the VIP dinner, and Rockit Bar & Grill for the gala, but in order to accommodate her schedule we are moving the date to July 13. Join us for an incredible evening to support the programs, scholarships, and outreach of the Piven Theatre Workshop! Click here for full details on our website! , discusses transformation and re-imaging possibilities through his art. Only 750 tickets ($65) will be available, including 200 VIP tickets ($100), all of which are expected to go quickly. VIP guests will get to enter the festival an hour early, enjoy special VIP-only beers and food, and walk away with a goodie bag that includes special beer and beer-related items. All attendees will sample food from nine local restaurants, many of whom will pair with local brewers to provide food that complements the beer being served. Throughout the night, guests will also have the opportunity to bid on silent auction packages, which range from home brew kits and private brewery tours to hotel and restaurant packages. Raffle prizes include three towers of beer which entitles the winner to walk away with over 20 cases. Festiv-Ale will announce its full list of brewers and participating restaurants on June 4th, a list that includes a number of Chicago's newest nanobreweries. Their participation will help raise $100,000 this year, of which will benefit the Cystic Fibrosis Foundation. A bit about cystic fibrosis: Cystic Fibrosis is a genetic disease affecting 30,000 children and adults in the United States. The respiratory system and the digestive tract are both compromised by CF, making involuntary activities like breathing and eating extraordinarily difficult for these patients on a daily basis. In 1955, children with CF usually did not live long enough to attend elementary school. Today, because of Foundation-supported research and care, patients are living to a median age of 37. Breakthroughs have been made possible through the dedication of generous donors, with approximately 90 cents out of every dollar directly supporting programs for CF research, drug discovery and patient care.